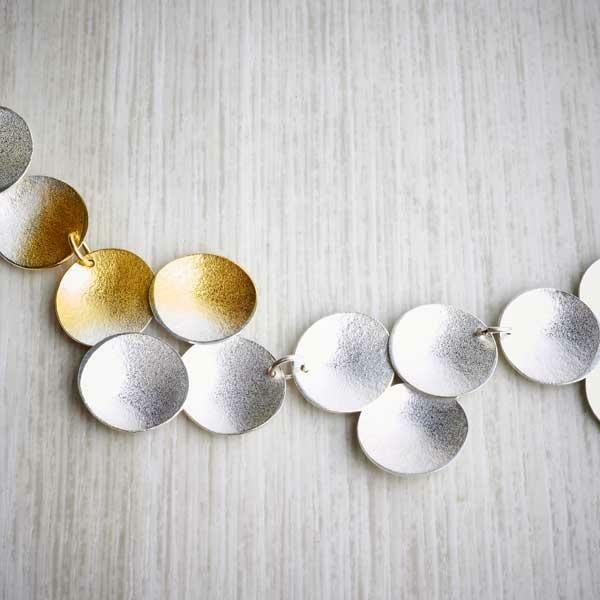 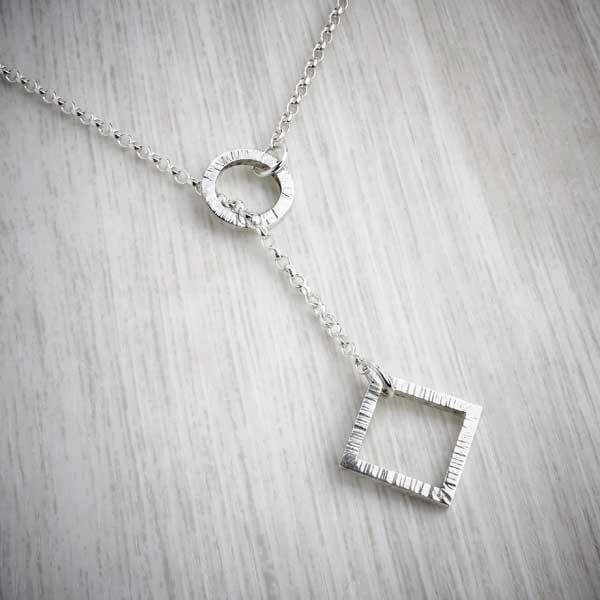 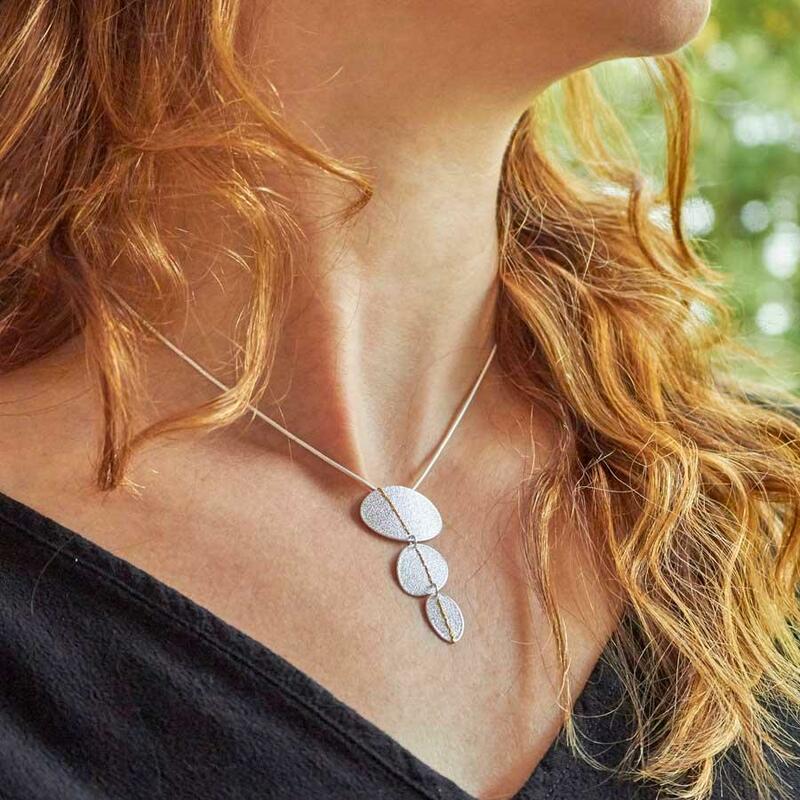 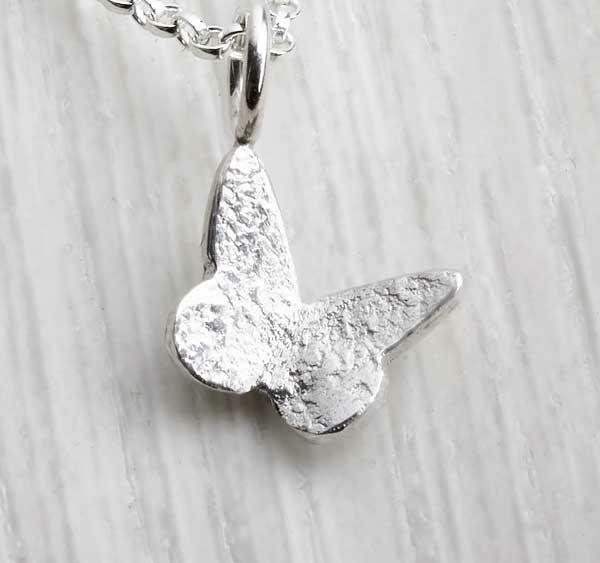 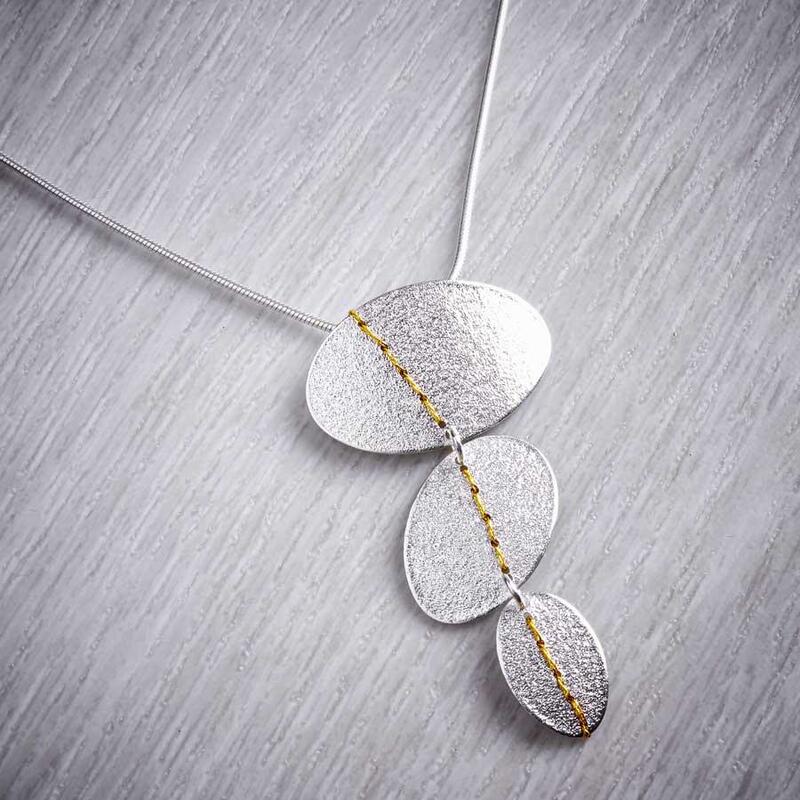 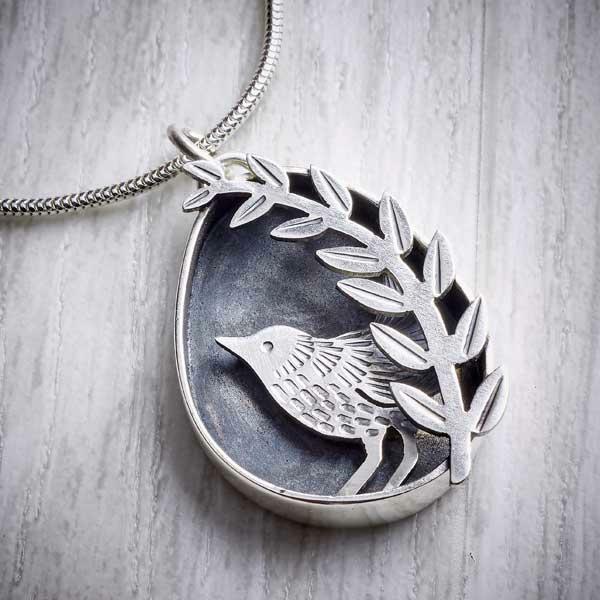 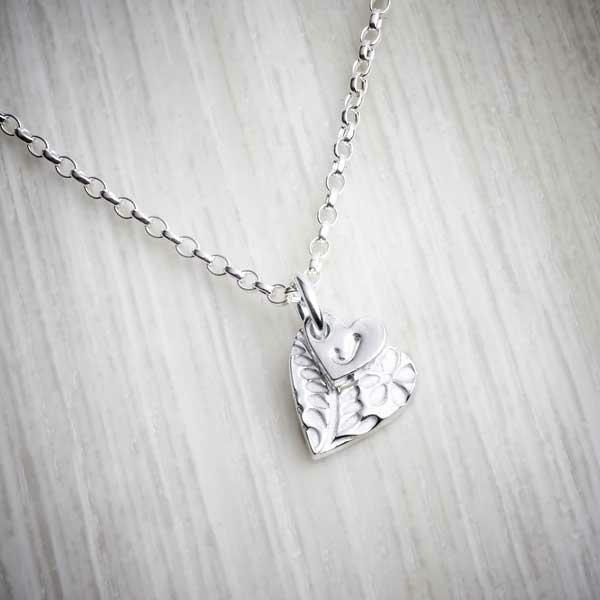 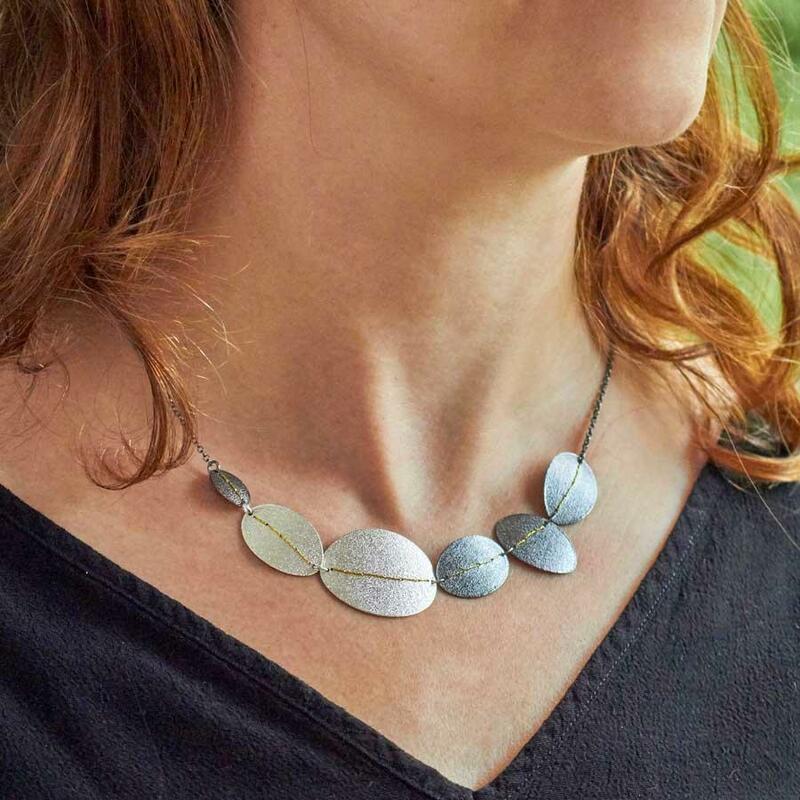 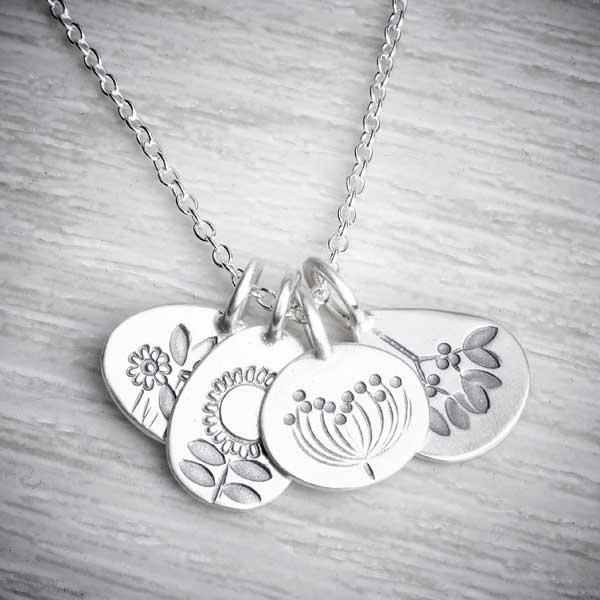 This sterling silver necklace shimmers beautifully against the body. 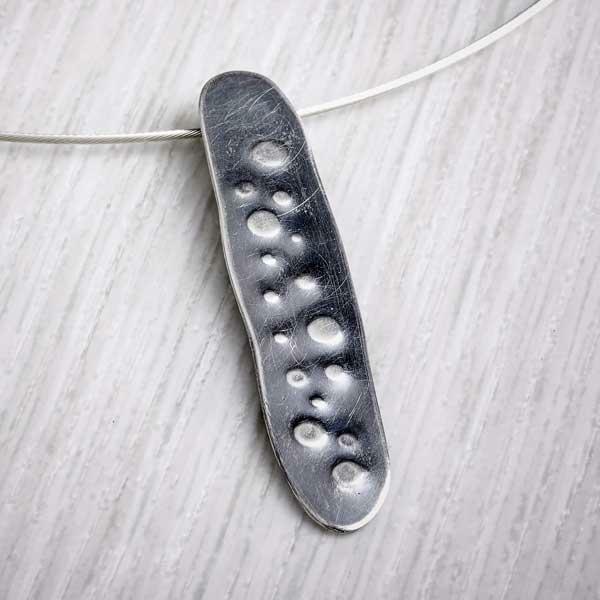 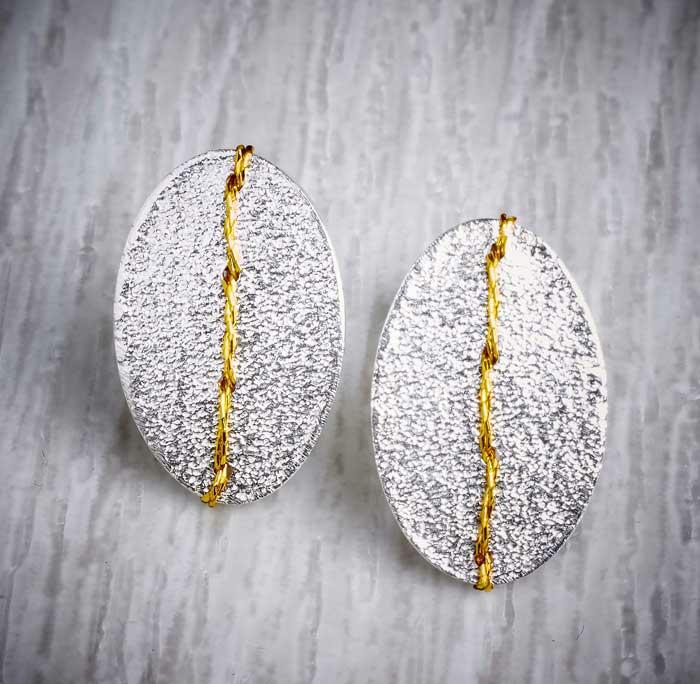 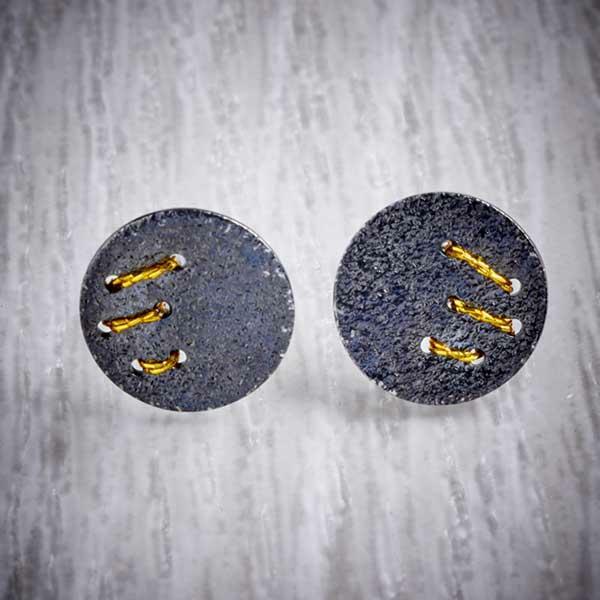 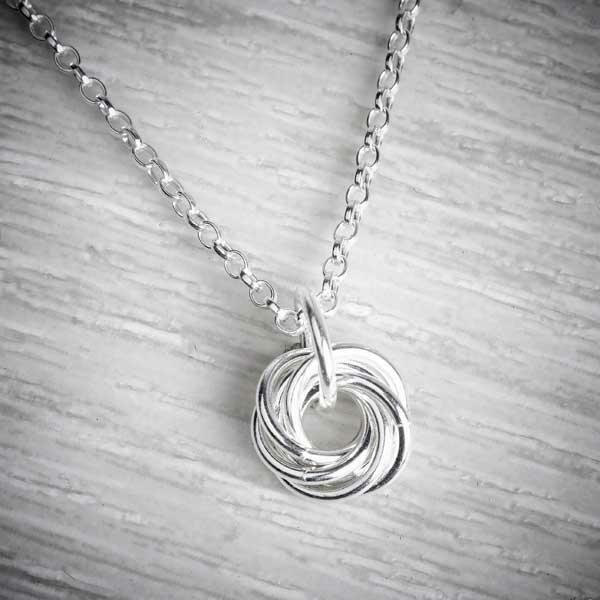 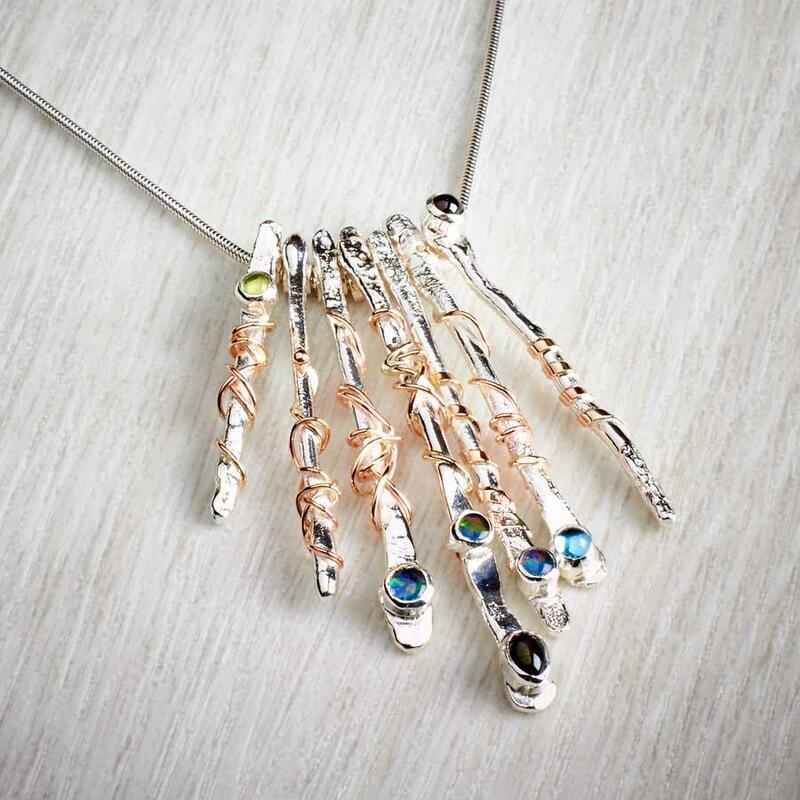 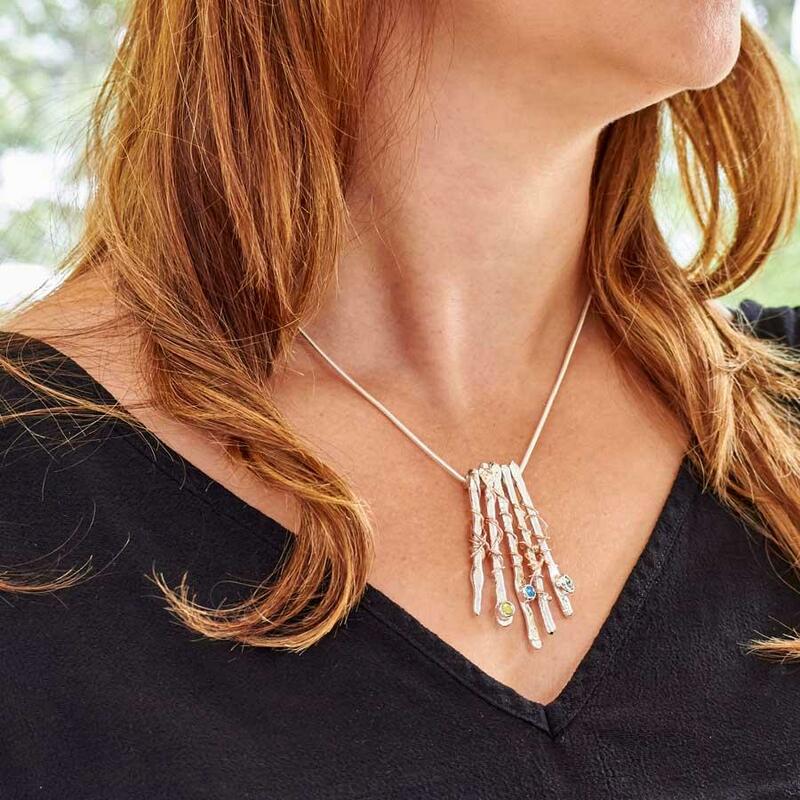 This handmade piece is made up of 3 cascading ‘pebbles’ which have been beautifully textured and gently polished to give a soft sparkly finish. 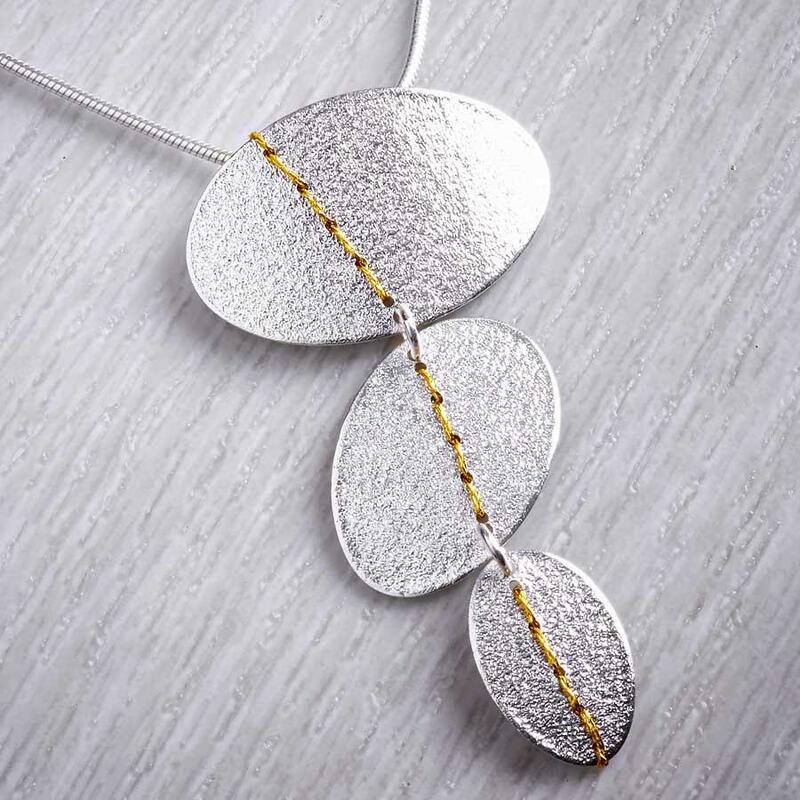 Metallic gold thread is sewn through the silver, subtly catching the light. 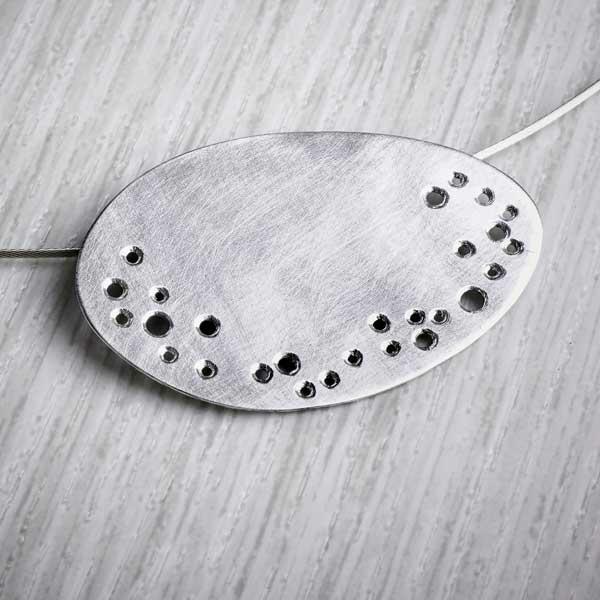 The pebbles on this pendant measure from approx 24mm by 16mm for the biggest to 14mm by 9mm for the smallest . 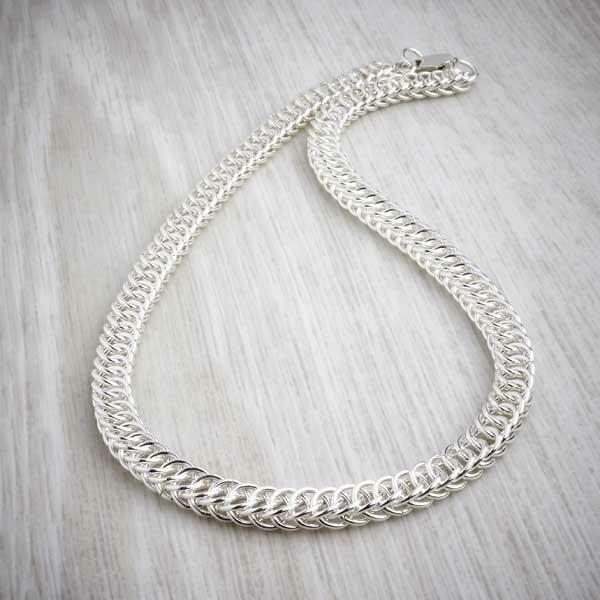 This necklace is handmade from 925 sterling silver sheet and hangs on a 16” or 18” sterling silver snake chain. 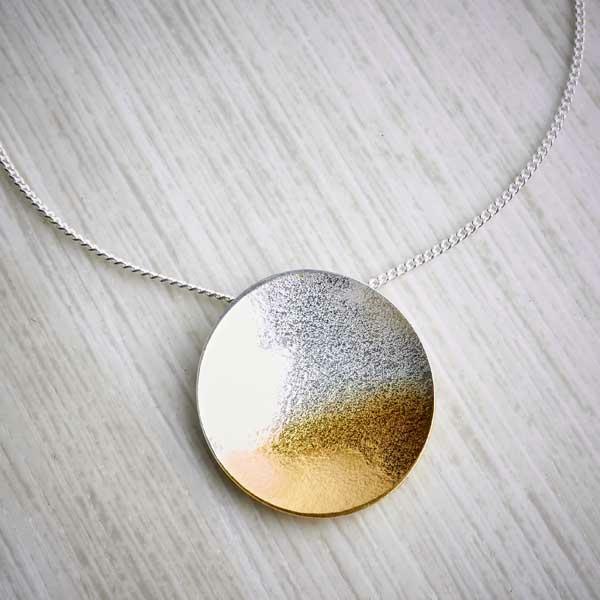 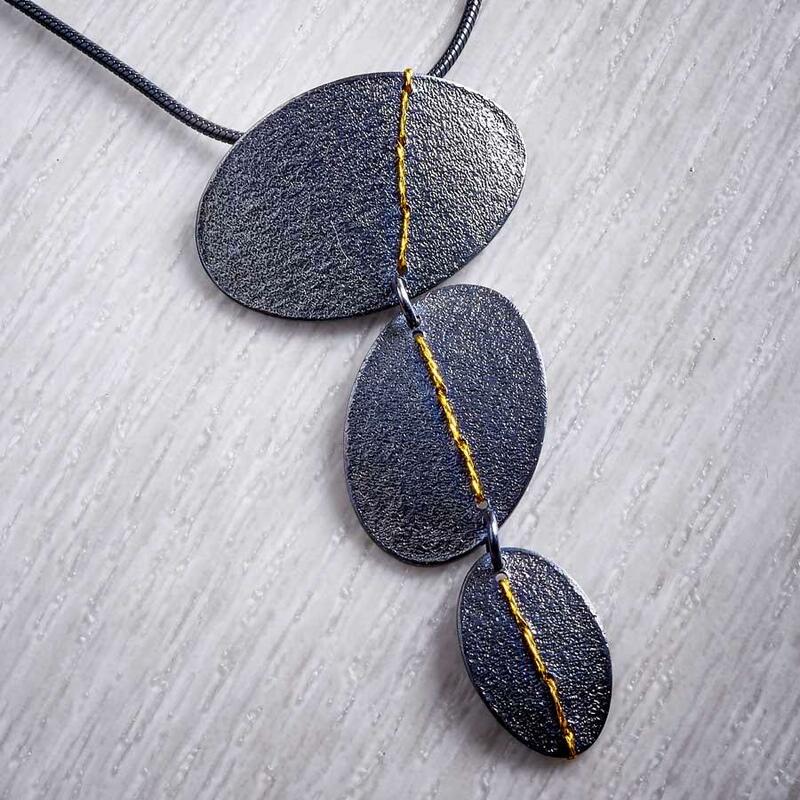 This necklace is also available in an oxidised finish.